In Fall 2013, adidas will carry over its new Boost cushioning technology to some of its other high performance running sneakers. And one of the first Boost-ready shoes that will hit the market is adiZero Adios Boost. Replacing the long-running adiPrene midsole with a Boost unit, the latest version of the Adios combines the speed of a racing flat with an energy-return Boost unit for better cushioning and responsiveness. The shoe features an upgraded air mesh upper that have a more streamlined look much like the Energy Boost. 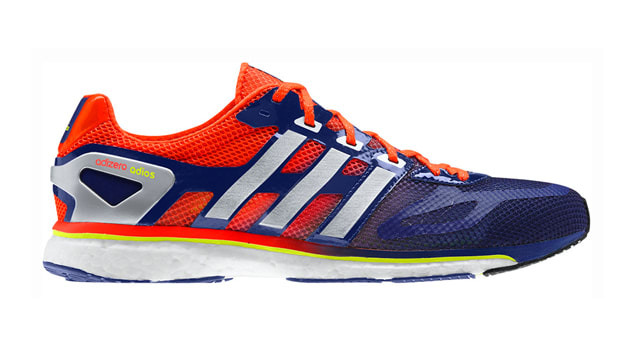 The adiZero Adios Boost is set to hit stores on October 1 with a price tag of $140. An exclusive edition of the shoe will be on display at the Boston Marathon Expo later this week.